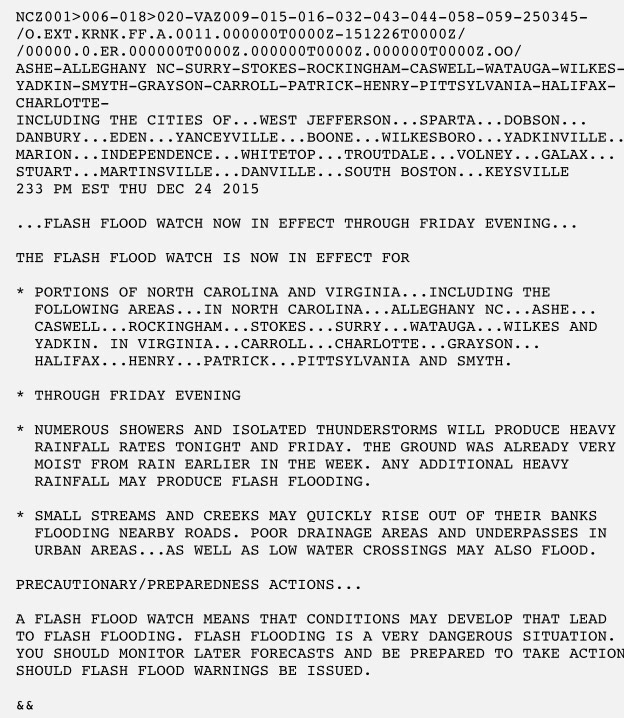 The National Weather Service has extended the Flash Flood Watch for Watauga into Christmas evening. The Watch was originally in place until 7pm Thursday evening, until the extension Thursday afternoon. With the ground already saturated from rain earlier in the week and through Thursday afternoon, the Weather Services says that any additional heavy rainfall may produce flash flooding.